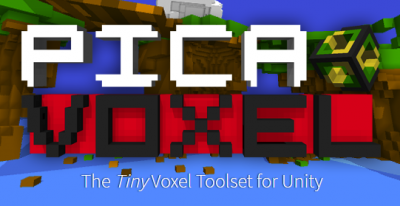 I wanted to discuss Pica Voxel which is a great little voxel framework for Unity that I have been using in my latest project. It is written entirely in C# and works pretty well. I have had success with it and plan to use it as the core in my next project. The best thing I like about it is that it has shaders that produce a really nice flat shaded look. The project that I am working on is along the lines of a retro arcade game – but instead of 2D pixel art its 3D voxel art. It is fully scriptable and I can essentially modify anything in it. It also works with MagicaVoxel which is a great voxel model editor that I will write about in another post. There are a few downsides to be aware of though. First, it isn’t being developed anymore, although it is maintained and still working fine with the more recent Unity versions. Being a programmer type I have been able to make changes myself to it so I feel like I can just run with it and do whatever I need to modify it. If you don’t have the programming skills then it likely is going to be limited to what already exists. Another area where I have run into trouble some is with the editor tools. I have primarily used MagicaVoxel and keep voxel models external to Pica Voxel and import them in as needed. I have had some buggy behavior using the editor tool and just don’t trust it enough and feel like things can get broken or messed up and don’t want to lose work. Lastly I am still grappling with how it creates all kinds of meshes and realizing that there is a ton of junk in its mesh storage. Still figuring that out and will offer some suggestions in another post when I figure out how to manage it. Even with all of these issues I still highly recommend it. 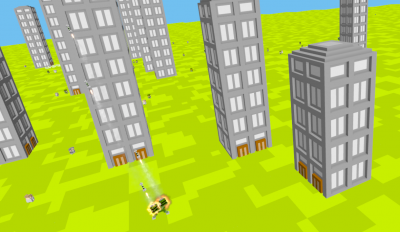 Here is a screenshots of it in action in the new project. Tagged pica voxel, retro, unity, voxels.